Welcome to Galileo Music Academy! 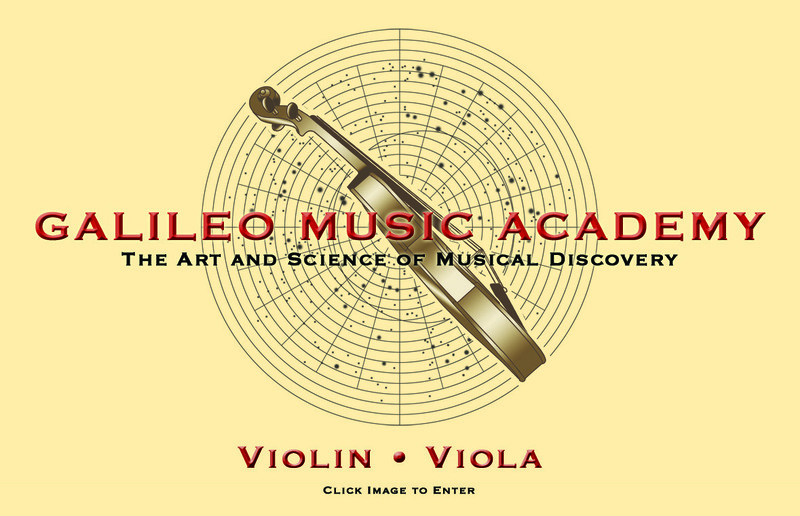 Galileo Music Academy brings a unique music education experience to violin and viola students of all ages and levels. We offer private lessons in a safe, fun and stimulating learning environment where students' musical knowledge and creativity can flourish. Our world-class teachers share their knowledge and experience gained through working with renowned artists and in performing around the globe to give their students the technical and artistic tools to realize their musical goals. Most music stores offer only ad hoc private instruction, while our approach is modeled on the country's most prestigious music conservatory programs to educate the complete musician. At Galileo Music Academy, we offer our students the benefit of a rigorous, structured and supportive approach to learning the the art and science of music. We strive to cultivate the feeling of a true studio community by organizing periodic academy-wide group activities, including master classes, technique classes, and recitals. We invite you to spend some time perusing our site for more detailed information about our programs, as well as more general information about string instrument resources in the area. Contact us today to schedule a free trial lesson!